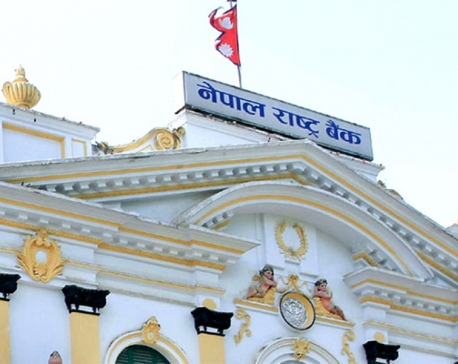 KATHMANDU, Dec 23: A committee formed by the Ministry of Finance has recommended Nepal Rastra Bank (NRB) to increase the limit of the institutional deposits of bank and financial institutions (BFIs) to 50 percent from the current limit of 45 percent. This new measure, if implemented, will enable BFIs to get more deposits from institutional depositors and ease the pressure on their liquidity. This is one of the 58 recommendations made by the committee in its report submitted to the ministry for interest rates and capital market stability. The committee formed on December 6 to look into the recent financial market volatility submitted its report on Wednesday, and the ministry made the full report public on Friday. The recommendation to increase limit of institutional deposits for BFIs is one among those measures that the government can pursue in short-term and medium-term period, according to the report. However, there are concerns that heavy reliance of BFIs on institutional depositors makes them vulnerable to liquidity shocks when an institutional depositor suddenly withdraws money. 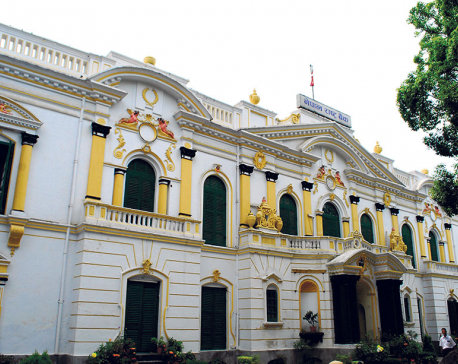 The recommendation to the NRB to increase the limit of institutional deposits is against the NRB's plan to gradually lower the dependence of BFIs on such deposits. The NRB had lowered the limit of institutional deposits to 45 percent in the last Fiscal Year 2017/18 from 50 percent earlier. Though it kept the limit on the share of institutional deposit to total deposits unchanged in the current fiscal year, the central bank has moved toward tightening the flow of deposits by limiting the total deposit liabilities from single institution. It reduced the existing limit for BFIs to accept the fixed deposit from a single institution to 15 percent from earlier limit of 50 percent. The tightening of institutional deposits was also intended to keep rising interest rates in check. "Over the last two years, the interest rate on institutional deposits mobilized through auction has soared mainly due to slower growth of deposits relative to credit demand," read the monetary policy for the current fiscal year, adding that such rise on interest rates on institutional deposit has also exerted high pressure on lending rate. The committee has, however, recommended the NRB to scrap the current practice of calling bids for the deposits from institutional depositors and introduced a rule allowing BFIs to provide interest rates on deposits based on the published rates rather than through auction. This was also one of the recommendations by the committee as a measure that can be pursued immediately for the interest rates stability. The committee has also called for increasing the size of refinance fund of the NRB to ensure that the priority sectors are getting adequate credits. Encouraging other BFIs who are comfortable with their credit to core capital plus deposit (CCD) ratio for purchasing loans of those who are facing pressure on the CCD ratio is another recommendation of the committee. BFIs will also be required to publish their lending and deposit rate each month if the recommendation is implemented by the NRB. Though BFIs were required to publish their interest rates in each quarter, the committee has recommended the NRB to publish it in each month.